The Glorya Kaufman International Dance Center is the 54,000 square foot home of the USC Glorya Kaufman School of Dance, one of the largest facilities dedicated to dance on a private university campus. 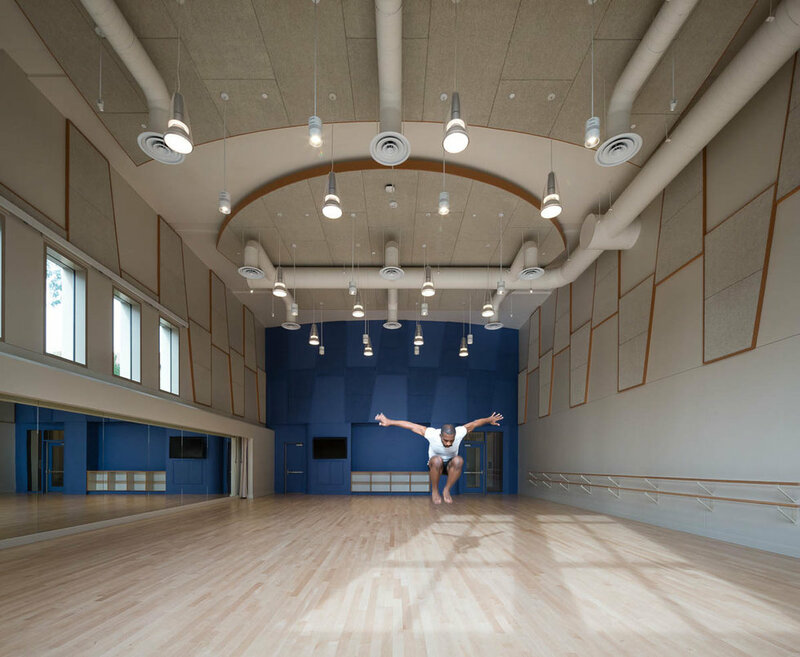 Designed for their innovative new curriculum, that supports a range of dance styles, the school's staff designated Harlequin to provide wall-to-wall flooring for the large 3,500 square foot Performance Studio as well as five dance studios in their new state-of-the-art building. Additionally, when the program's first students arrived on campus in the fall of 2015, the new building was still under construction and not ready to hold classes. USC turned to Harlequin once again; this time to provide a floating sprung floor system in their temporary space, which could later be used around the USC campus to support its thriving arts community.